THOUSANDS OF INCREDIBLE VALUE COSTA DEL SOL PROPERTIES REDUCED AND UPDATED DAILY! If you are looking to buying property on the Costa del Sol in Marbella, Fuengirola, Mijas, Benalmadena or elsewhere on the Costa del Sol then why not browse our Costa del Sol Property database. Our Costa del Sol Property database offers the biggest selection of Costa del Sol Property from affordable holiday apartments to 5 million euro bespoke villas . Covering all aspects of luxury properties, urgent, reduced and distressed sales you wont have to look any further. Collaborating with over 250 trusted partner agents we can easily offer the most comprehensive selection of apartments, townhouses and villas for Sale on the Costa del Sol. 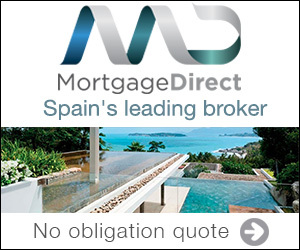 We work closely with vendors and developers and take on new Spanish property bargains DAILY so please contact us with your requirements and we will reply immediately. On our website you will find a complete range of Costa Del Sol property for sale. Including investment properties, new developments, residential property with private pools, often reduced in price for a quick sale. Our easy to use property search facility makes it easy to find the right property for you. Search various Bargain, Urgent and Distressed properties today and get access to the best property deals on the Costa del Sol. Our Costa del Sol property website includes villas, apartments, townhouses and new developments. Search over 15,000 property listings on the Costa del Sol updated daily.